Help Us Support Meals from the Heartland! When I first met my wife Jenna, she and her family had often volunteered for an organization called Meals from the Heartland. I did not think much of it other than another hunger or feed the world program, selfishly thinking that everyone gets hungry from time to time and you just have to deal. But there is a different type of hunger that this charity feeds, one that is chronic and life threatening all around the world. While many of us take for granted the box of rice or can of corn sitting in our pantry, we fail to recognize that somewhere in the world, that can of corn collecting dust, is all a family will eat for a day or even two. There are astonishing statistics on worldwide hunger, World Food Program in 2009 reported that there are 1 billion people that suffer from chronic hunger. That is the entire population of North America and Europe combined. To bring the problem closer to home, the USDA estimated that in 2010, 17.2 million households in the United States were food insecure. There are things that can be accomplished from coming together as a small or large group to help reduce these astronomical numbers. Some may have heard of Meals from the Heartland from media outlets, advertising, or personal experience. To those that have not, this organization provides food and nutrition to an average of 15,126 persons daily. The way this is accomplished is by help and donations of volunteers who prepare a meal package consisting of rise, soy protein, dried vegetables and vitamins. Meal packages can be packaged by almost anyone and from personal experience it takes less than 30 seconds for a team of 6 to complete. The cost to provide a meal to a family of six using this method is just $1.20 USD, and can be shipped worldwide or nationwide. For the cost of Happy Meal or a bag of chips, there are 18 children that could have had a meal full of nutrients that is much needed in their lives. The recent Meals from the Heartland event last month in Downtown, Des Moines provided 5,122,008 meals in only just four days of volunteering and donations. Big numbers need big results, and with your help big or small, the number of starving families can be drastically reduced. 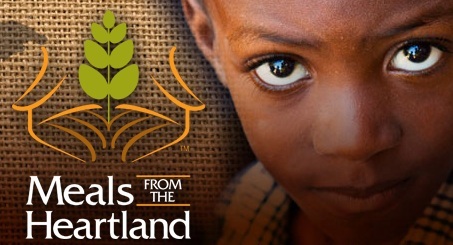 More information on Meals from the Heartland can be obtained visiting their website. A goal has been set to raise at least $1,500 to go toward Meals from the Heartland by the end of the year. Any new patient who donates $50 or more to Meals from the Heartland will receive a complimentary first visit (exam, any needed spinal X-rays, and mechanical table massage up to $300 value). Call (515) 309-1217 to schedule an appointment!